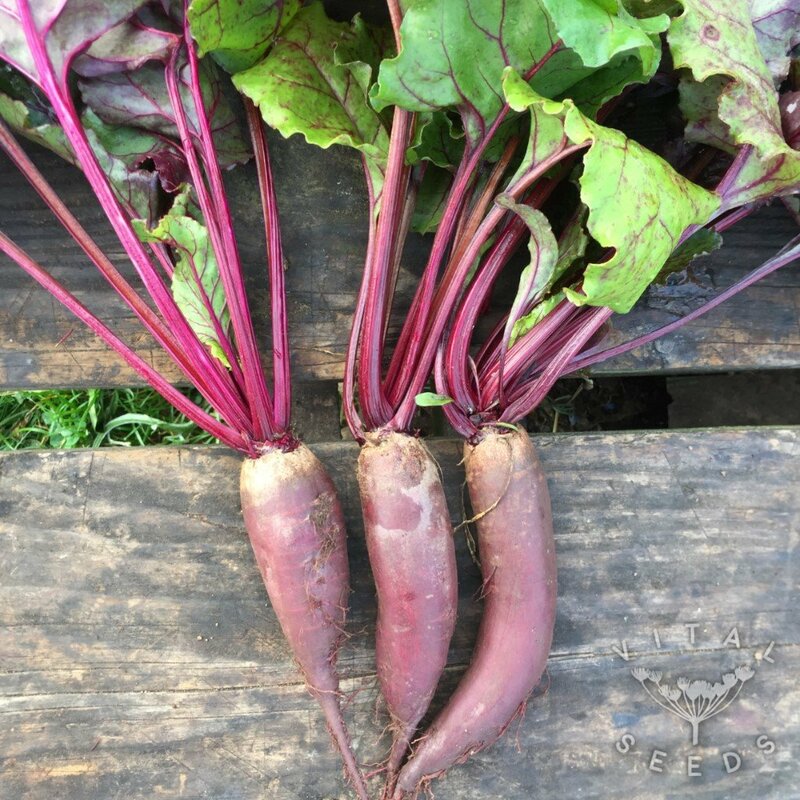 A distinctive, very attractive variety which forms long, thin cylindrical beets . 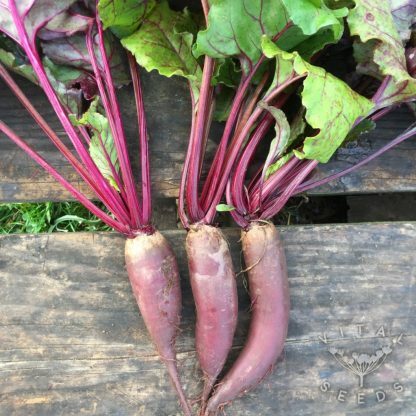 Deep purple, and typically 20cm tall, and 6cm diameter, but like any beet, can get very large with enough room. 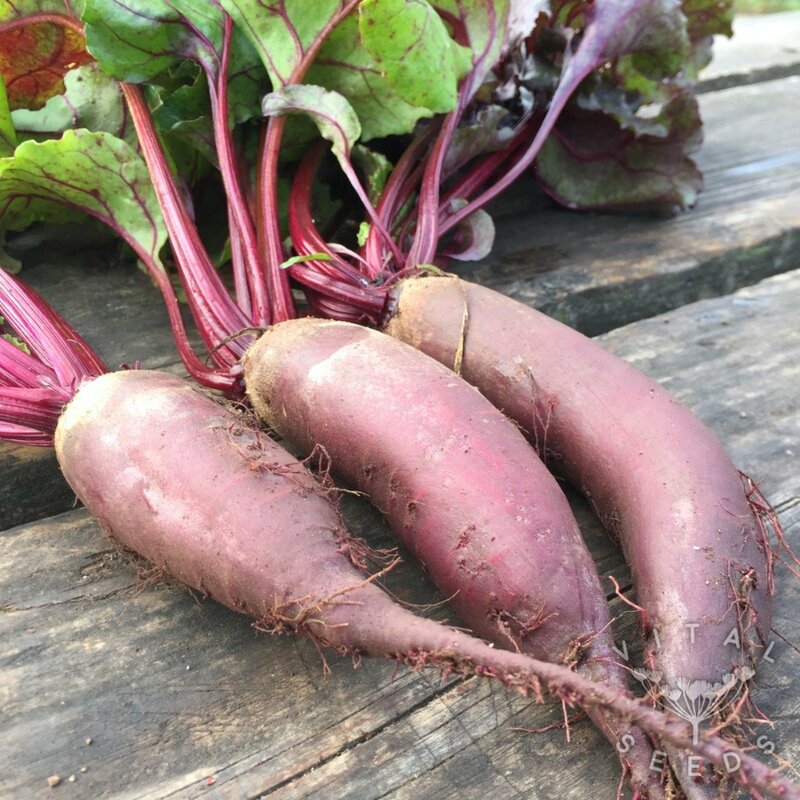 They look great in the veg patch, at the market and also on your plate! 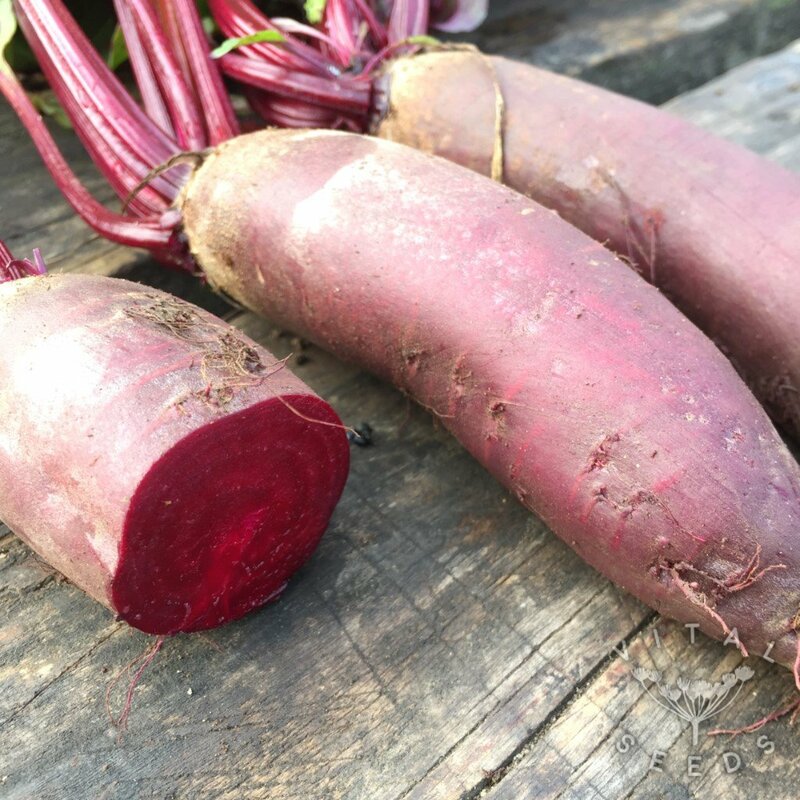 Very suitable as a main crop and has excellent storage capability.